I only snapped one other photo in the cemetery yesterday and it was this one. I drove by this man as I was leaving, and found him and his situation so intriguing that I turned around and went back and asked to take his photo. He was a bit guarded (no pun intended!) 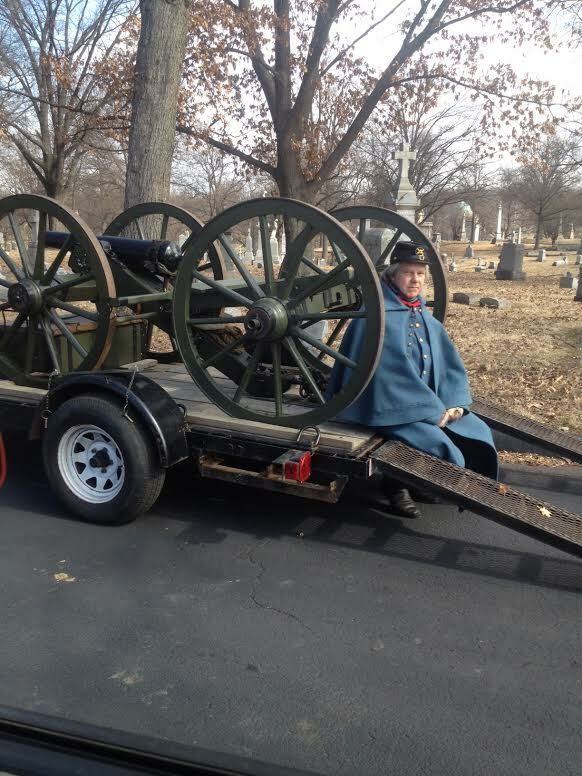 and suggested I come back at 2pm (two and half hours later) for something they were doing in regards to General Sherman, a Union Army general buried there. It would make a better photo. I asked him again if I could take his photo now and he hesitantly agreed. His name was Randy. I introduced myself, thanked him, and said good day. At 2pm, I was in the grocery store buying yogurt while General Sherman was being celebrated with cannons. Ah, the lives we lead today. Great photo! I like the irony.